Putting a dollar value on clean water, stable markets, the quality of schooling or access to the judiciary is no easy task. Each of these elements of society, however, are to some extent related to and enabled by open government. 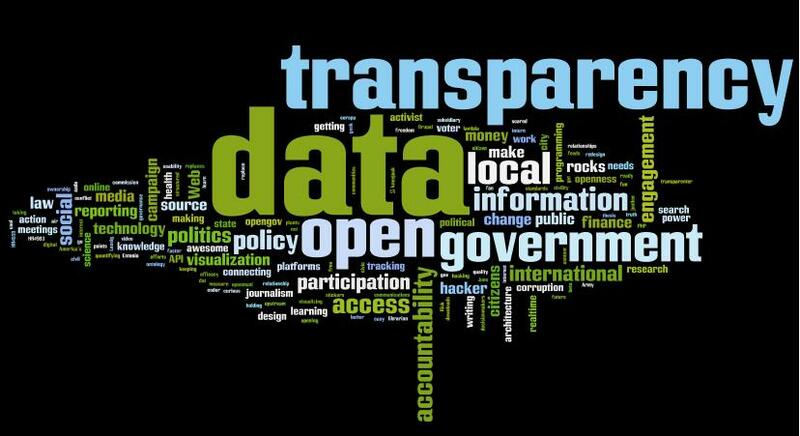 If we think about how the fundamental democratic principles established centuries ago extend today purely in terms of the abstraction of transparency, the “business value” of open government isn’t always immediately clear, at least with respect to investment or outcomes. It’s that context, of course, that’s driving good, hard questions about the business case for open government. Tim Berners-Lee, the inventor of the World Wide Web, said in 2011, at the launch of the Open Government Partnership in New York City, said that increased transparency into a state’s finances and services directly relates to the willingness of the businesses and other nations to invest in a country. That’s the kind of thinking that has driven the World Bank to open up its data, to give people access to more information about where spending is happening and what those funds are spent upon. While transparency into government budgets varies immensely around the world, from frequently updated portals to paper records filed in local county offices, technology has given states new opportunities to be more accountable — or to be held accountable, by civic media and the emerging practice of data journalism. The challenges with releasing spending data, however, are manifold, from quality assurance to the (limited) costs of publishing to access to making it comprehensible to taxpayers through visualizations and calculators. People in and outside of government are working to mitigate these issues, from using better visualization tools to adopting Web-based online platforms for publishing. The process of cleaning and preparing data to be published itself has returns for people inside of government who need access to it. According to the McKinsey Global Institute, on average, government workers spend 19% of their days simply looking for information. In other words, opening information government to citizens also can mean it’s more available to government itself. Organizing and establishing governance practices for data, even if some of it will never be published online, also has significant returns. Chicago chief data officer Brett Goldstein established probability curves for violent crime, explained John Tolva, the chief technology officer of the city of Chicago, when we talked in 2011. Since then, “we’re trying to do that elsewhere, uncovering cost savings, intervention points, and efficiencies,” he said. Tolva makes the business case for open data by identifying four areas that support investment, including an economic rationale. California’s recent budget woes coincided with unprecedented demand for government to be more and efficient online. The state connected citizens to e-services with social media. Both California Unemployment Office and the Department of Motor Vehicles were able to deliver better services online without additional cost. These kinds of efforts are far from the only places where there are clear returns for investments. A world away from big cities and states in the United States and urban data analytics, the World Bank found the ROI in open government through civic participation and mobile phones. Mobile participatory budgeting helped raise tax revenues in Congo, combining technology, civic participation and systems thinking to give citizens a voice in government. This post originally appeared on LaserFiche. On January 10th, 2013, the OpenGov Hub officially launched in Washington, DC. The OpenGov Hub has similarities to incubators and accelerators, in terms of physically housing different organizations in one location, but focuses on scaling open government and building community, as opposed to scaling a startup and building a business. Samantha Power, special assistant to President Obama and senior director for multilateral affairs and human rights in the White House, spoke about the Hub, the Open Government Partnership, which she was at the heart of starting — and the broader importance of why “open government” is important to everyday citizens: improving lives and delivering results. A video I recorded at the event, embedded below, captured her talk. Afterwards, I’ve posted text of her remarks, lightly edited for clarity. The emphases are mine. “I’m jealous. It just feels cool. It feels like you’d come up with lots of ideas if you worked here. My office doesn’t feel quite like this, but we did hatch, collaboratively, the Open Government Partnership. I’ll just say a few things, mainly just to applaud this and to say how exciting it is. The White House is a couple blocks in one direction, the State Department is another couple blocks in another, and there are a gazillion departments and agencies around who would really benefit from the infusion of energy and insight that you all bring to bear every day to your work. President Obama started his first term issuing this Open Government Memorandum and it really did set the tone for the administration, and it does signal what a priority this was to him. We are now on the verge of starting a second term and everybody in the administration is working to think through how does this manifest itself in the second term, the last term. You don’t get a chance after this next four years to do it again. We’re all very aware of that and we’re going to benefit from the ideas that you have. Just to give you an indicator of what OGP has come to mean to the President — and this was catalyzed in a speech that he gave before the UN General Assembly. Those speeches are a kind of ‘State of the Union’ for foreign policy, and he chose to use that speech in year two of his presidency to talk about the fact that the old divisions, the old way of thinking of North and South, East and West, have been overtaken by open and closed and scales of openness, degrees of openness. He challenged the countries there, the leaders, the peoples, to come back with ideas for how we could achieve more transparency, fight corruption, harness new technologies for innovation, and empower citizens. And that gave rise to this brainstorm, which in turn gave rise to this OpenGovHub, with this new leadership. We’re very, very excited about this next phrase of OGP’s growth. This, I think in many ways, is President Obama’s signature governance initiative, and it’s something he takes extremely seriously. In bilateral meetings with foreign heads of state he often brings this up, spontaneously, if we have failed, somehow, to get it into the talking points. It is something he’s talked to Prime Minister Cameron about in the U.K. The Indonesians of course are the co-chairs now, so it’s not longer his. The trip to Burma, which just occurred, was a very moving trip. I got to be a part of that. It was amazing to see President Barack Hussein Obama at the home of Aung San Suu Kyi, maybe the next leader of that country, talking about open government, and the Open Government Partnership, and the Burmese coming out on that trip and committing to be part of the Open Government Partnership by 2015, and articulating each of the milestones for budget transparency, on disclosure for public officials, on civil liberties, freedom of information. So [using] OGP, and this open government conversation, as a hook to make progress on issues that this stage of Burma’s long journey it’s critical that they make progress on. So I just wanted to convey how much this really matters to him personally. Second, and you talking about this earlier today, the challenge of conversions still exists, with other governments, with officials, in my own government, and certainly with citizens and other groups around the world who don’t self-identify within the space. And so, I think, thinking through the ways in which platforms like this one that pull together success stories and ways in which citizens have concretely benefitted, this is what it’s all about. It’s not about the abstraction about ‘fighting corruption’ or ‘promoting transparency’ or ‘harnessing innovation’ — it’s about ‘are the kids getting the textbooks they’re supposed to get’ or does transparency provide a window into whether resources are going where they’re supposed to go and, to the degree to which that window exists, are citizens aware and benefiting from the data and that information such that they can hold their governments accountable. And then, does the government care that citizens care that those discrepancies exist? That’s ultimately what this is about, and, I think, the more that we have concrete examples of real children, of real hospitals, real polluted water and clean water, real cost savings, in administrative budget terms, the more success we’re going to have in bringing new people into this community — and I confess, I was not one. Jeremy Weinstein used to come and knock on my door, and say, ‘What is this, open government?’ and I didn’t understand it. Then, with a few examples, I said, ‘Oh, this is exactly what I’ve been trying to do under another rubric, you know, for a very long time.” This creates the possibility for another kind of conversation. Sometimes, democracy and human rights, issues like that, can get other governments on their heels. Open government creates the opportunity for conversations that sometimes doesn’t exist. The last thing I’d say is, just to underscore a data point that’s been made, but in some sense, art imitates life, like this space imitates life. This space itself seems to be kind of predicated on the logic of open government — open idea sharing, information sharing, it’s great. Our little OGP experiment, I think, is one that a lot of these groups are using. We benefited from what most of these groups and most of you have been doing, again, for a very long time, which is to recognize that we don’t know what we’re doing. We need to hear and learn from people who are out in the field. We have ideas and can be very abstract. Just as the partnership itself has this originality to it, of being multi-stakeholder and having civil society and governments at the table, figuring out what we’re doing, so too our criteria, whether a country is or isn’t eligible, is the product of NGO data, or academic frameworks, there just has to be cross-pollination. Again, OGP is just one version of this, but I think the more that our communities are talking to one another, and certainly, speaking from the government perspective now, just sucking in the work and the insights that you all bring to bear, the better off real people are going to be in the world, and the more likely those kids are going to be to get those textbooks. The 2012-2013 influenza season has been a bad one, with flu reaching epidemic levels in the United States. 12% are related to increasing accountability and corporate responsibility. As I noted in my assessment of 2012 trends for Radar, last year the Economist’s assessment was that open government grew globally in scope and clout. There will be inevitable diplomatic challenges for OGP, from South Africa’s proposed secrecy law to Russia’s membership. Given that context, all of the stakeholders in the Open Government Partnership — from the government co-chairs in Brazil and the United Kingdom to the leaders of participating countries to the members of civil society that have been given a seat at the table — will need to keep pressure on other stakeholders if significant progress is going to be made on all of these fronts. If OGP is to be judged more than a PR opportunity for politicians and diplomats to make bold framing statements, government and civil society leaders will need to do more to hold countries accountable to the commitments required for participation: they must submit Action Plans after a bonafide public consultation. Moreover, they’ll need to define the metrics by which progress should be judged and be clear with citizens about the timelines for change. The post-industrial future of journalism is already here. It’s just not evenly distributed yet. The same trends changing journalism and society have the potential to create significant social change throughout the African continent, as states moves from conditions of information scarcity to abundance. That reality was clear on my recent trip to Africa, where I had the opportunity to interview Justin Arenstein at length during my visit to Zanzibar. Arenstein is building the capacity of African media to practice data-driven journalism, a task that has taken on new importance as the digital disruption that has permanently altered how we discover, read, share and participate in news. One of the primary ways he’s been able to build that capacity is through African News Innovation Challenge (ANIC), a variety of the Knight News Challenge in the United States. The 2011 Knight News Challenge winners illustrated data’s ascendance in media and government, with platforms for data journalism and civic connections dominating the field. As I wrote last September, the projects that the Knight Foundation has chosen to fund over the last two years are notable examples of working on stuff that matters: they represent collective investments in digital civic infrastructure. The first winners of the African News Innovation Challenge, which concluded this winter, look set to extend that investment throughout the continent of Africa. “Africa’s media face some serious challenges, and each of our winners tries to solve a real-world problem that journalists are grappling with. This includes the public’s growing concern about the manipulation and accuracy of online content, plus concerns around the security of communications and of whistleblowers or journalistic sources,” wrote Arenstein on the News Challenge blog. While the twenty 2012 winners include investigative journalism tools and whistleblower security, there’s also a focus on citizen engagement, digitization and making public data actionable. To put it another way, the “news innovation” that’s being funded on both continents isn’t just gathering and disseminating information: it’s now generating data and putting it to work in the service of the needs of residents or the benefit of society. In the first half of our interview, published last year at Radar, Arenstein talked about Hacks/Hackers, and expanding the capacity of data journalism. In the second half, below, we talk about his work at African Media Initiative (AMI), the role of open source in civic media, and how an unconference model for convening people is relevant to innovation. What have you accomplished at the AMI to date? A $1 million African News Innovation Challenge, which was modeled fairly closely on the Knight Challenge, but a different state of intended outputs. A network of Hacks/Hackers chapters across the continent. A number of technology support or technology development initiatives. Little pilot projects, invariably newsroom-based. The idea is that we test ideas that are allowed to fail. We fund them in newsrooms and they’re driven by newsrooms. We match them up with technologists. We try and lower the barrier for companies to start experimenting and try and minimize risk as much as possible for them. We’ve launched a couple of slightly larger funds for helping to scale some of these ideas. We’ve just started work on a social venture or a VC fund as well. You mentioned different outputs in the News Challenge. What does that mean? Justin Arenstein: Africa hasn’t had the five-year kind of evolutionary growth that the Knight News Challenge has had in the U.S. What the News Challenge has done in the U.S. is effectively grown an ecosystem where newsrooms started to grapple with and accepted the reality that they have to innovate. They have to experiment. Digital is core to the way that they’re not only pushing news out but to the way that they produce it and the way that they process it. We haven’t had any of that evolution yet in Africa. When you think about digital news in African media, they think you’re speaking about social media or a website. We’re almost right back at where the News Challenge started originally. At the moment, what we’re trying to do is raise sensitivity to the fact that there are far more efficient ways of gathering, ingesting, processing and then publishing digital content — and building tools that are specifically suited for the African environment. There are bandwidth issues. There are issues around literacy, language use and also, in some cases, very different traditions of producing news. The output of what would be considered news in Africa might not be considered news product in some Western markets. We’re trying to develop products to deal with those gaps in the ecosystem. What were the most promising News Challenge entrants that actually relate to those outputs? Justin Arenstein: Some of the projects that we thought were particularly strong or apt amongst the African News Challenge finalists included more efficient or more integrated ways to manage workflow. If you look at many of the workflow software suites in the north, they’re, by African standards, completely unaffordable. As a result, there hasn’t been any systemic way that media down here produced news, which means that there’s virtually no way that they are storing and managing content for repackaging and for multi-platform publishing. We’re looking at ways of not reinventing a CMS [content management system], but actually managing and streamlining workflow from ingesting reporting all the way to publishing. Some of the biggest blogs in the world are running on WordPress for a CMS. Why not use that where needed? Justin Arenstein: I think I may have I misspoken by saying “content management systems.” I’m referring to managing, gathering and storing old news, the production and the writing of new content, a three or four phase editing process, and then publishing across multiple platforms. Ingesting creative design, layout, and making packages into podcasting or radio formats, and then publishing into things like Drupal or WordPress. There have been attempts to take existing CMS systems like Drupal and turn it into a broader, more ambitious workflow management tool. We haven’t seen very many successful ones. A lot of the kinds of media that we work with are effectively offline media, so these have been very lightweight applications. The one thing that we have focused on is trying to “future-proof” it, to some extent, by building a lot of meta tagging and data management tools into these new products. That’s because we’re also trying to position a lot of the media partners we’re working with to be able to think about their businesses as data or content-driven businesses, as opposed to producing newspapers or manufacturing businesses. This seems to be working well in some early pilots we’ve been doing in Kenya. What were your takeaways from the Tech Camp? Was a hybrid unconference a good model for the News Challenge? Justin Arenstein: A big goal that we think we’ve achieved was to try and build a community of use. We put people together. We deliberately took them to an exotic location, far away from a town or location, where they’re effectively held hostage in a hotel. We built in as much free time as possible, with many opportunities to socialize, so that they start creating bonds. Right from the beginning, we did a “speed dating” kind of thing. There’s been very few presentations — in fact, there was only one PowerPoint in five days. The rest of the time, it’s actually the participants teaching each other. We brought in some additional technology experts or facilitators, but they were handpicked largely from previous challenges to share the experience of going through a similar process and to point people to existing resources that they might not be aware of. That seems to have worked very well. On the sidelines of the Tech Camp, we’ve seen additional collaborations happen for which people are not asking for funding. It just makes logical sense. We’ve already seen some of the initial fruits of that: three of the applicants actually partnered and merged their applications. We’ve seen a workflow editorial CMS project partner up with an ad booking and production management system, to create a more holistic suite. They’re still building as two separate teams, but they’re now sharing standards and they’re building them as modular products that could be sold as a broader product suite. The Knight News Challenge has stimulated the creation of many open source tools. Is any of that code being re-used? Justin Arenstein: We’ve tried to tap into quite a few of them. Some of the more recent tools are transferable. I think there was grand realization that people weren’t able to deliver on their promises — and where they did deliver on tools, there wasn’t documentation. The code was quite messy. They weren’t really robust. Often, applications were written for specific local markets or data requirements that didn’t transfer. You actually effectively had to rebuild them. We have been able to re-purpose DocumentCloud and some other tools. I think we’ve learned from that process. What we’re trying to do with our News Challenge is to workshop finalists quite aggressively before they put in their final proposals. Firstly, make sure that they’re being realistic, that they’re not unnecessarily building components, or wasting money and energy on building components for their project that are not unique, not revolutionary or innovative. They should try and almost “plug and play” with what already exists in the ecosystem, and then concentrate on building the new extensions, the real kind of innovations. We’re trying to improve on the Knight model. Secondly, once the grantees actually get money, it comes in a tranche format so they agree to an implementation plan. They get cash, in fairly small grants by Knight standards. The maximum is $100,000. In addition, they get engineering or programming support from external developers that are on our payroll, working out of our labs. We’ve got a civic lab running out of Kenya and partners, such as Google. Thirdly, they get business mentorship support from some leading commercial business consultants. These aren’t nonprofit types. These are people who are already advising some of the largest media companies in the world. The idea is that, through that process, we’re hopefully going to arrive at a more realistic set of projects that have either sustainable revenue models and scaling plans, from the beginning, or built-in mechanisms for assessments, reporting back and learning, if they’re designed purely as experiments. We’re not certain if it’s going to work. It’s an experiment. On the basis of the Tech Camp that we’ve gone through, it seems to have worked very well. We’ve seen people abandon what were, we thought, overly ambitious technology plans and rather matched up or partnered with existing technologists. They will still achieve their goals but do so in a more streamlined, agile manner by re-purposing existing tech. Editors’s Note: This interview is part of an ongoing series at the O’Reilly Radar on the people, tools and techniques driving data journalism. Social media was a bigger part of the election season of 2012 than ever before, from the enormous volume of Facebook updates and tweets to memes during the Presidential debates to public awareness of what the campaigns were doing there in popular culture. Facebook may even have booted President Obama’s vote tally. Pollwatch, a mobile application that enabled crowdsourced poll monitoring, has launched a final version at pollwatch.us, just in time for Election Day 2012. The initial iteration of the app was conceived, developed and demonstrated at the hackathon at the 2012 Personal Democracy Forum in New York City.